The world’s first purpose built multi storey skatepark in Folkestone, Kent. Atelier Ten’s commercial, environmental and specialist lighting design teams are currently involved in the design of this exciting unique project, intended to revitalise a sleepy English seaside town. 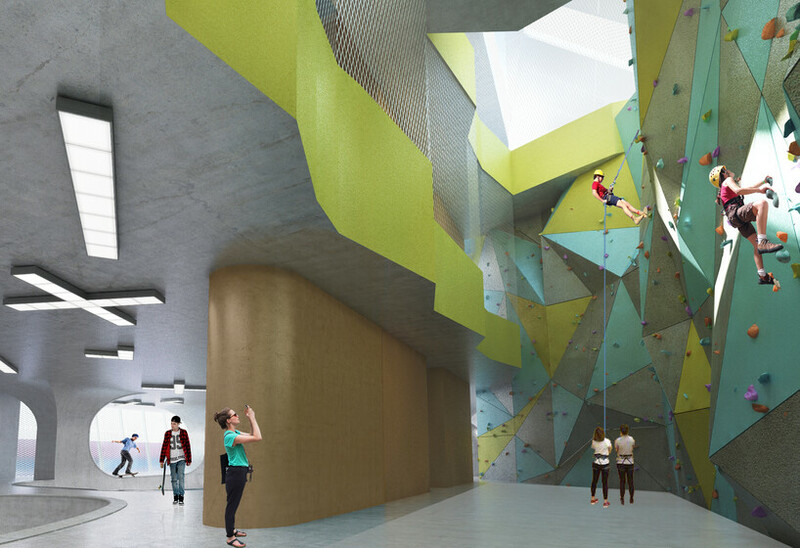 The building incorporates a gym, boxing ring, climbing wall and café on top of its primary use as a world class skate boarding venue. The building is designed to take advantage of natural ventilation to create an outdoor atmosphere in the skate areas whilst PVs have been integrated into the roof to reduce energy consumption. 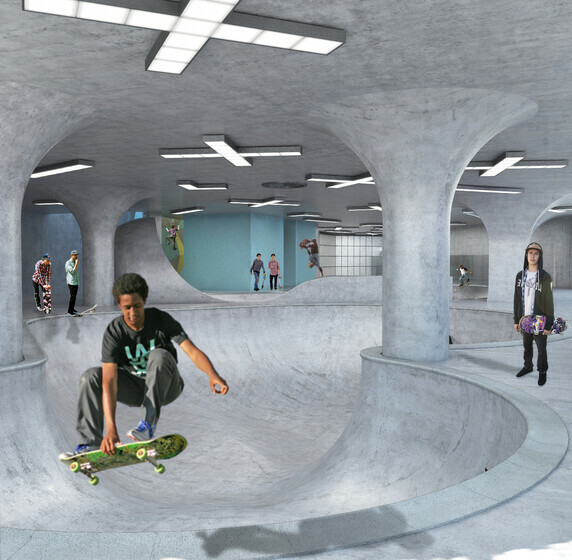 The ground and basement area will utilise exposed services to provide a healthy building with an ‘industrial’ feel reminiscent of the streetscapes skates prefer. The lighting posed an exciting design challenge to provide the skaters with glare free performance areas whilst minimising light spill to the surrounding area. In addition the lighting system could not encroach on the skating areas and had to be flexible enough to allow for special events and video recording of the skating. It was designed with an industrial feel using a combination of up lighting and low level concealed lighting to enhance the skating experience. 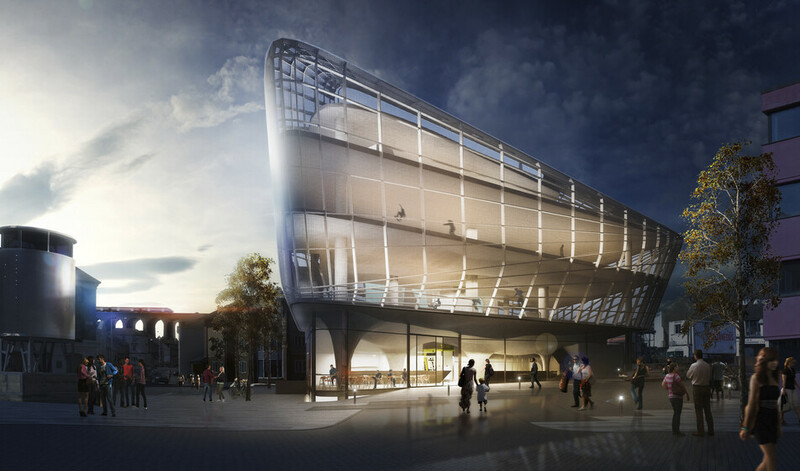 When viewed from outside, the lighting will emphasise the dramatic shapes of the concrete skating bowls and highlight the perforate mesh façade.